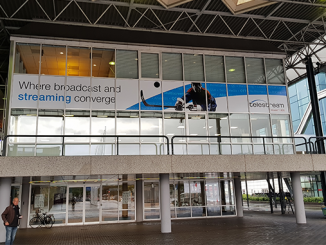 Don’t miss these attractions and hot spots while you’re in Amsterdam for IBC! You may find yourself with a bit of free time at IBC, leaving you the opportunity to explore this world-class city. Here we’ve curated a few fun things to do and great places to eat. While you could simply walk the streets and soak up the beauty of the city, there is so much more to do and see in Amsterdam. A big tourist attraction is the infamous Heineken Experience, where you can have a guided tour through the brewery. But what if you’re not into beer? Visit the Ice Bar, which is one of Amsterdam’s most unique watering holes. It is truly the “coolest” bar in Amsterdam. Upon entering the Ice Bar, you are given a thermal coat and gloves to keep you warm, as it is -10 degrees Celsius. Everything is made out of ice: the walls, the furniture, the art, and even the glasses your drinks are served in. If this interests you, book in advance as it is a very popular destination. Since the Dutch are famous for their excellent cheeses, grab souvenirs for friends and family by taking in a cheese tasting. One of the best establishments to try traditional Dutch cheese is Reypenaer. This family-run company has been making fantastic cheeses for over a century. The tasting lasts around an hour and includes a tasting of six cheeses and wines, and a knowledgeable staff member to guide you through the tastings. If you want some free entertainment, the Free Fringe Festival is the place for you. The Free Fringe Festival brings a wide array of different attractions to the city ranging from respected plays to wild nights where rock bands and DJs take to the stage, as well as stand up comedians. Definitely worth checking out! Want to see Amsterdam from a new angle? Take a visit to the A’Dam Lookout. 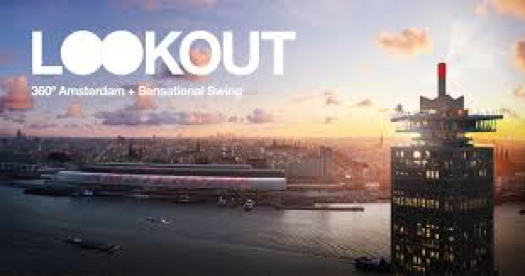 From the top of the Lookout you can see an amazing 360-degree view of the city from 20 stories high while enjoying food and drinks from the 360-degree skybar and restaurant. 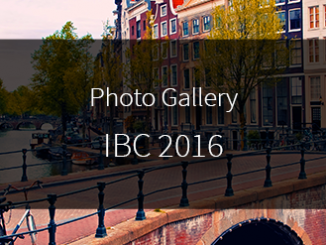 This year is IBC’s 50th anniversary. To celebrate, show organizers are hosting a charity football event on September 16th to raise money for the Friendship Sports Centre and the Edwin van der Sar Foundation. You have the chance to participate in the game and play against some of football’s greatest, or just support from the sidelines. To learn more, click here. Simply want to explore this beautiful, world-class city? Don’t overlook the option of renting a bike and cruising through town. Amsterdam is a very bike-friendly community and exceedingly safe as local traffic laws strictly favor bikers. If you are looking for a relaxing break, grab some snacks and a blanket and enjoy one of Amsterdam’s fantastic parks. There are so many great restaurants near the RAI for you to enjoy. To start, the Strandzuid and the Roast Room are great venues to enjoy a casual cocktail or a full meal. If you are looking for a quick bite the Broodjeszaak De Nieuwe RAI is ideal. Madam is a new restaurant and bar located on the 20th floor of the A’dam tower with live DJs. Just below on the 19th floor is Restaurant Moon, a revolving restaurant that serves five, six, and seven course tastings – just a bit more on the expensive side.